The 39 Steps works as a thriller and a comedy. This week, I’m sticking to the early stages of cinema with a film that I saw some 40 + years ago: Alfred Hitchcock’s The 39 Steps. Since I enjoyed the play of The 39 Steps, I decided to watch the Hitchcock film again. Of course, since I moved a year ago, things are still in chaos. I have looked several times for my Hitchcock collection that includes this film and it has not yet reared its head. But, thanks to Turner Classic Movies and their Hitchcock celebration this month, I was able to DVR the film and watch it again. The 39 Steps is based loosely on a classic mystery novel of the same name by John Buchan. It follows the fantastic adventures of Richard Hannay (Robert Donat), a Canadian visiting in London. As the film opens, Hannay is taking in a vaudeville show. He watches a song and dance team who lead into the wonders of Mister Memory (Wylie Watson). Mister Memory commits 50 new facts to his fabulous mind every single day and can call them up to order. During the performance a pistol is fired and Hannay, with the rest of the audience, rushes to leave the show. In the rush, a young woman (Lucie Mannheim) attaches herself to him and asks to come to his home. The woman acts oddly, avoiding windows and shadows. She identifies herself as Annabella Smith and says she is an “agent” (read “spy”) but gives no affiliation. But she does reveal she’s tracking some stolen military air secrets and something called The 39 Steps. She is going to Scotland to meet someone. She also mentions her nemesis, a man of many names who cannot hide the fact that he is missing the upper joint on one of his pinky fingers. Hannay allows her to use his bed while he sleeps on the sofa. His guest wakes him up with a knife in her back and promptly dies with a map of Scotland in her hand. Not sure what to do, Hannay looks outside and sees men who are obviously waiting for him. He escapes with the map via a funny ruse with the milkman and takes the train. Soon the maid discovers the body and the hunt is on. The newspapers are soon running stories about the murder and a police hunt. At one point, Hannay crashes into a room occupied by a young woman. He kisses her to escape the police, but she will have none of it. She outs him and he has to leap from the train. Soon he is wandering Scotland and escaping police, spies, and the cold. He meets the woman from the train again and finds himself handcuffed to her. Pretending the pipe in his pocket is a gun, he persuades Pamela (Madeleine Carroll) to assist him and to help foil the spies. 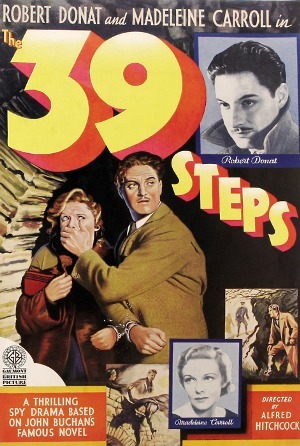 The 39 Steps is a rare blend of comedy and suspense thriller. There are visual jokes, double entendre and more. The scene of the pair sleeping in a hotel bed while handcuffed, wet and hungry is a classic. One scene I loved was a throwaway: as the police and a detective follow Hannay through the train, they all tumble through a doorway like people falling out of the stateroom in the Marx Brothers’ A Night at the Opera. This is the film that helped usher in an amazingly productive period of Hitchcock films and brought him into prominence. Everybody always mentions Psycho and Vertigo when talking about the great director. I would gladly throw this film into that mix as well. It is absurd at times and relies heavily on coincidence and the stupidity of some characters, but I still like a railroad ride into a Cornell Woolrich novel. I’m glad I got to revisit The 39 Steps and I hope you do also. The Case of the Curious Bride is an early Perry Mason mystery. This has been a week! Normally, depending on other commitments, I try to watch a film during the week, then I write up my thoughts on Sunday. This go-round, I was going to have to both watch the film and do the write-up on Sunday. I had thought to do The 39 Steps, the early Hitchcock version since I had recently seen a dramatization of it, but I could not locate my copy of the film. I had recorded Man Hunt, but when I went to watch it, the recording was of a 1933 film starring Junior Durkind, not the Walter Pigeon and George Sanders suspense thriller. I thought I would watch the Durkin one, but after 10 minutes I turned off the recording and deleted the film from the DVR. I made it 5 minutes further than Sandi did. So, I dipped back into the DVR. I pulled up The Lost Continent, a Hammer thriller from 1968 with Hildegaard Neff, Eric Porter and Suzanna Leigh. But the quality of the recording was iffy at best. Several times I got a message that the recording had been interrupted. Normally, these interruptions were for a few seconds and I was able to follow the film. But at one key point, the gap was substantial with a total change of scene and characters. I gave up on it also. Back to the DVR. Hopefully the third time was going to be the charm. I had an early Perry Mason film recorded. I had seen several of the Warren William Masons, so I knew it would be fun. 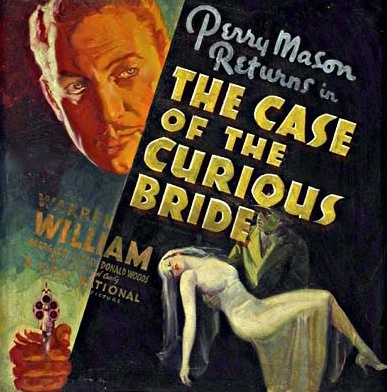 Up popped The Case of the Curious Bride, Williams’ second outing as Mason. The film went smoothly, so here we go. Perry Mason has just completed a successful defense and is celebrating with his friends and associates. He has picked out some crabs and has gone to Luigi’s to make some fancy Italian dish. Afterward, he plans to leave for a long delayed vacation to China. While preparing the meal, though, he is interrupted by Rhoda Montaine (Margaret Lindsay), who wants to ask him about a problem one of her girlfriends has. The girl had previously been married and husband died four year earlier. She’s since fallen in love and wants to get re-married. But the first husband may be alive. Mason asks the girl’s name and address and Rhoda provides information, which proves false. Mason is called away and when he returns Rhoda is gone. He has his meal and goes home. The next day, he finds that Rhoda was speaking of herself and that her supposedly dead first husband, Gerald Moxley (Errol Flynn in his second credited Hollywood role) has been killed. Rhoda is fleeing the city and is the obvious suspect. Her new husband, Carl, is suspicious of her behavior and her relation with Dr. Millbeck. Her new father-in-law, C. Phillip Montaine of Pasadena, wants the marriage broken up and offers Mason a lot of money to lose the defense. What’s more, the DA is out for blood. Williams does pretty well as Mason, but Claire Dodds is wasted as Della Street who does not do much in The Case of the Curious Bride. Allen Jenkins returns as “Spudsy” Drake, Mason’s gopher and right hand worker. He provides a lot of comic relief to these tales, which I do not recall in the novels. (Come to think of it, it has been more than 40 years since I read a Perry Mason so maybe that could be a Forgotten Book column soon.) Olin Howard reprises his role as the coroner Wilbur Strong, who partakes of the gourmet meal with gusto and has a wonderful revelation when exhuming a body early on. And Wini Shaw has a fun song and dance number at the Midnight Burlesque doing a piece called “It Was a Dark and Stormy Night.” Sorry, no Snoopy sitting on his dog house. These films will never replace the Raymond Burr TV appearances, but they are an interesting representation of the time. I found The Case of the Curious Bride worth a viewing. Perhaps you will too. But, as always with a film this old, your mileage may vary. They Met in Bombay is part comedy caper film and part WW2 action yarn. As I said last week, “police and detective films of the ’30s and ’40s can be a wonderful thing.” So, when browsing through the program guide a few months ago, I was immediately struck by the title They Met in Bombay. I looked up the summary and found it to be a comedy caper about two jewel thieves in India. The stars included Clark Gable, the amazing Rosalind Russell and Peter Lorre. So, onto the DVR it went. When I was looking for something to watch and describe for you faithful readers, the film struck me again. It starts in Bombay, where the Duchess of Belltravers (Jessie Ralph) is set to appear at the annual celebration of colonial British rule. The Duchess owns a fabulous necklace with a huge diamond pendant, the Star of Asia. Being a well-known jewel, it naturally attracts the attention of thieves. Gerald Meldrick (Gable) is such a thief and he has made a very acceptable copy of the necklace. He arrives at the hotel where the celebration will take place. He presents the manager (Eduardo Ciannelli) with a telegram presenting him as a detective for Lloyd’s of London, which insures the necklace. The necklace is kept is the hotel safe and guarded at all times when it’s not worn. As he Meldrick checks in, he sees the Baroness Anya van Duren (Russell) arrive to make her own play as a con artist. She goes to her room and studies the history of the Belltravers family, brushing up on the family lineage and personal details such as who their friends are. When Anya goes to get her hair and nails done, Gerald is there getting a shave. That shave quickly turns into a haircut so he can look admiringly at her. At the celebration, the Duchess notes that Anya looks just like she did when she was younger. Anya’s guests include a local prince, but they have not shown up (because they were never invited). The Duchess invites Anya to join her party as the prince in question is also a friend of hers. Anya, being a good con artist, ingratiates herself into the Duchess’ confidence, and soon the two are back at the Duchess’ suite where the older woman falls asleep. Anya removes the necklace and departs to her suite. When Gerald enters, he sees that the necklace is gone. He puts his copy on the woman and goes to Anya’s room, where he confronts her as the Lloyd’s detective and gets her to give up the goods. A few minutes after he leaves, she sees the real hotel detectives leaving the Duchess’ room with the necklace, which she asks to see. She then realizes that she has been conned herself. The next morning, Gerald checks out of the hotel and grabs a ride to the airport. Inside the cab he finds Anya. They discuss the evening’s happenings and the possibility of a partnership. Just as they reach the airport, they hear the sound of the police. Realizing the jig is up, they steal a boat and row out to a freighter on its way to Hong Kong. Captain Chang (Peter Lorre) realizes who the pair are and offers to turn them over when they get to Hong Kong for a £10,000. Here the film turns into a heroic adventure and is no longer the romantic caper comedy it started as. Still, it remains fun. Gable and Russell work well together throughout, although Wikipedia tells me that Lana Turner was originally slated to be the co-star. I like Russell more than I do Turner, so this was fine by me. Overall, They Met in Bombay was was good film and I really enjoyed it. Peter Lorre was only in the film 10 or 15 minutes and was pretty well wasted as an unscrupulous Chinese freighter captain. I had never heard of this film before, so it was a nice piece of serendipity that I found it and watched it. Perhaps it will work for you also. Though, of course, your mileage may vary. The Amazing Mr. Williams is fun clone of The Thin Man. Police and detective films of the ’30s and ’40s can be a wonderful thing. Recently, while scrolling through the guide on my television, I saw one listed that I had never heard of. Billed as a “breezy Thin Man clone,” The Amazing Mr. Williams starred Melvyn Douglas and Joan Blondell, two stalwarts of this period. I gave it a chance. Lieutenant Kenny Williams (Douglas) is a homicide detective who has amazing insights in solving cases. Maxine Carroll (Blondell) is the mayor’s secretary and Kenny’s fiancé. But Maxine does not like that Kenny works a job with hours beyond 9 to 5. Their dates are frequently interrupted by murder. Maxine hates that Kenny is a policeman and threatens regularly to leave him unless he quits. In the opening moments of the film, Kenny is late in arriving to a date and Maxine is furious. He gets there in time to drink her Old Fashioned and apologize. Before he can order, he is dragged away for a locked-room murder involving a woman, midgets and a snake. (And it did not involve the Harry Stephen Keeler solution of a midget hanging from a rope from a helicopter). Kenny tries to apologize to Maxine and solemnly swears to be there for her. His boss, Captain McGovern (Clarence Kolb), overhears the plans and decides to send Kenny to take convicted murderer Texas Buck Moseby (Edward Brophy) to prison for 40 years. Rather than explain the situation to Maxine (who does not want to hear any more excuses), Kenny takes Buck in tow as he takes Maxine to the Beach Casino for an evening of dinner and dancing. Maxine does not believe that Buck is an old college friend and blows the whistle on Kenny, getting him suspended for 60 days without pay. Except of course there is another job that needs to be done. The Phantom Slugger has been preying on women on the streets, hitting them with a baseball bat. Seven women have died. Kenny has the idea of sending one of the male cops out in drag to attract the Slugger. But, because of the screw-up with Moseby, Kenny is told he will be the decoy. Maxine fed the idea to the mayor to make Kenny get fed up and resign, but it never works out the way she wants. In another episode, Kenny resigns but is drug back into service by McGovern, leaving Maxine waiting at the altar. And a final incident which involves an innocent man captured by Kenny who is convicted of murder. 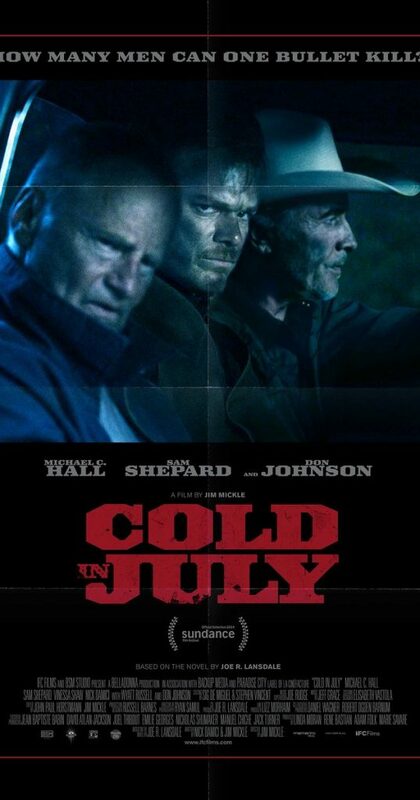 While taking him to prison, Kenny realizes that a mistake has been made and that he must remove the man from the train and prove him innocent before the police capture Kenny and send him away for 10 years. It is light hearted and breezy and episodic. The supporting cast with favorite Donald MacBride as Lieutenant Bixler and Ruth Donnelly and Effie Perkins, Maxine’s roommate and work assistant, is also quite good. A lot happens in The Amazing Mr. Williams’ 80 minutes, and there are no real dull sections. I really like both Melvyn Douglas and Joan Blondell. 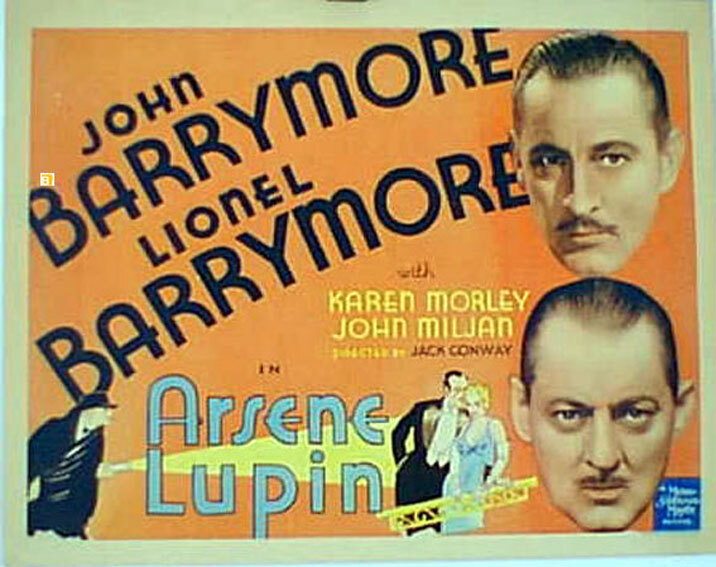 They made three films together in 1938 and 1939, as well as one in 1964. This was the second of the three. Melvyn Douglas also starred in Fast Company, a bibliomystery I reviewed last year which I really enjoyed. He was one of three actors to play book dealer/sleuth Joel Sloan. All three of those films also qualify as The Thin Man clones and are worth watching. The thing that comes alive in The Magnetic Monster isn’t a giant radiated bug but a killer isotope. Boy, have I been loving May at Turner Classic Movies, where they have been showing some wonderful monster and horror movies of the ’40s, ’50s, and ’60s with Dennis Miller hosting. It has been tempting to review only these movies for a while. I broke with that last week when I looked at Arsene Lupin and the Barrymores. 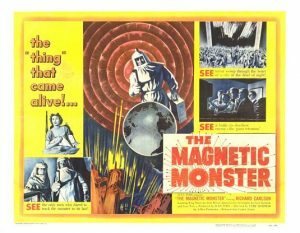 But here we are again with The Magnetic Monster, a ’50s science-horror movie. Following the development of the atomic bomb, science as most Americans knew it changed drastically. Science became something terrifying and unfamiliar. And Hollywood was ready to move into this unexplored land. The Magnetic Monster starts simply enough. The workers at Simon’s Department Store find that all their clocks have stopped. Mr. Simon (character actor favorite Byron Foulgar) begins berating Albert (Bowery Boy William “Billy” Benedict), who vows that he had wound all the clocks. Other appliances are also affected by some mysterious magnetic force which seems to have originated in the apartment above the store. The nearby Office of Scientific Investigation (OSI) is contacted and it dispatches two agents, Dr. Jeffrey Stewart (Richard Carlson) and Dr. Dan Forbes (King Donovan). They find evidence of radioactivity and massive magnetism from a lab above the store. The lab belongs to Dr. Denker (Leonard Mudie), who is carrying a dangerous isotope aboard an airplane. Denker dies from radiation poisoning. He had been bombarding this radioactive isotope with alpha particles, initiating all sorts of weird happenings. The isotope suddenly began to defy all laws of physics by converting energy into mass, which doubles every 12 hours. While the sample size on hand is small at a quadrupling every 24 hours, it was going to become a huge threat within a few days. At 10 days, the mass would have grown by more than one million times its original size. Five more days would be a billion times. Imagine how much energy that would consume. The OSI began to speculate about how long it would take before the earth was thrown off its orbit. The MANIAC, a giant card fed computer, taking up about a city block, runs the calculations. There’s lots of footage of the computer working, which means tape moving and cards being moved around. MANIAC finally determines that bombarding the sample within 24 hours with 900 million volts of electricity might do the trick. The experimental power station in Nova Scotia is the only possible place this might happen, even though the unit has a top rating of 600 million volts. Tensions reach a height as the material is being bombarded and the generator’s creator does not want to see it destroyed. The film gets tense, and aside from the faulty hand wavy science, I found myself fairly engaged. It was not a giant bug or monster film, though a giant isotope runs wild. Curt Siodmak, who gave us many fine films over the years, provided the screenplay. 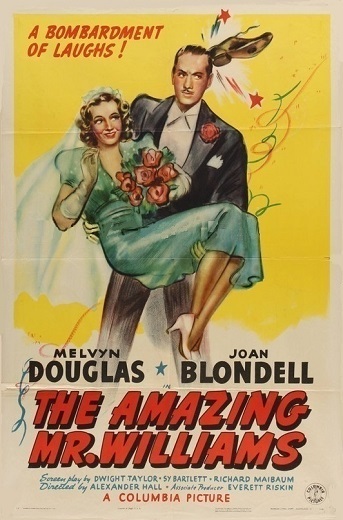 My favorite of his works was Donovan’s Brain, a 1942 novel which was filmed in 1954 with Nancy Davis and Lew Ayres. Siodmak also directed The Magnetic Monster. The film’s producer was Ivan Tors, in his second production, and Richard Carlson was in the prime of his career with It Came From Outer Space and Creature From the Black Lagoon appearing in 1954. 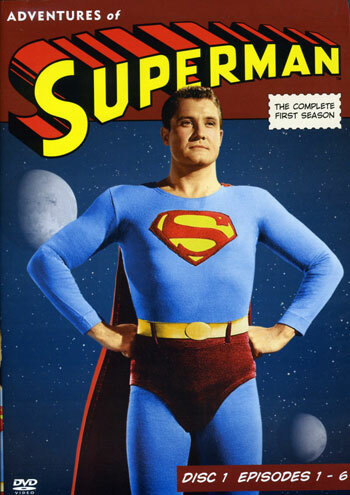 According to Wikipedia this was the first in a three film series featuring the OSI, It was followed by Riders to the Stars and Gog, both in 1954. This wasn’t a spectacular production but an OK way to enjoy an evening. Give it a try if you have the chance.